On the Swiss border with Austria in 1938, a police captain refuses to enforce a law barring Jewish refugees from entering his country. In the Balkans half a century later, a Serb from the war-blasted city of Vukovar defies his superiors in order to save the lives of Croats. At the height of the Second Intifada, a member of Israel’s most elite military unit informs his commander he doesn’t want to serve in the occupied territories. History has produced many specimens of the banality of evil, but what about its flip side, what impels ordinary people to defy the sway of authority and convention? Eyal Press explores the flip side of banality through dramatic stories of unlikely resisters who feel the flicker of conscience when thrust into morally compromising situations. Press shows that the boldest acts of dissent are often carried out not by radicals seeking to overthrow the system but by true believers who cling with unusual fierceness to their convictions. 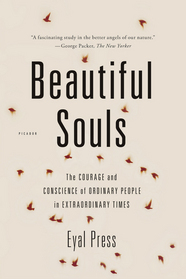 Drawing on groundbreaking research by moral psychologists and neuroscientists, Beautiful Souls examines the choices and dilemmas we all face when our principles collide with the loyalties we harbor and the duties we are expected to fulfill. The book culminates with the story of a financial industry whistleblower who loses her job after refusing to sell a toxic product she rightly suspects is being misleadingly advertised. Eyal Press is the author of Absolute Convictions. 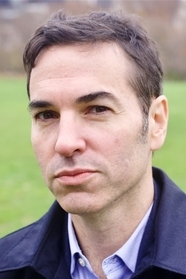 His work has appeared in The New York Review of Books, The New York Times Magazine, The Nation, The Raritan Review and numerous other publications. He lives in New York City. Read more of Eyal Press’s written work in the archives on his website. When he visited Pennsylvania State University, where Beautiful Souls was the inaugural Penn State Reads selection, Eyal Press spoke with WPSU/Penn State Public Media as part of their Conversations from Penn State interview series. 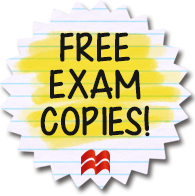 This entry was posted in Diversity, Global Perspectives, Leadership, Non-Fiction, Social Problems & Solutions, Writing for Writers and tagged 2016, 2017, beautiful souls, beyond the book, citizenship, civics, composition, diversity, eyal press, leadership, nonfiction on 10/19/2016 by macmillanacademic.